Winter is here to stay—at least for a couple of months! We love winter time at AR Workshop Nashville & Franklin. It’s the perfect time to gather together around the workshop tables and make projects and memories you will keep forever. One of our favorite projects you can D.I.Y. 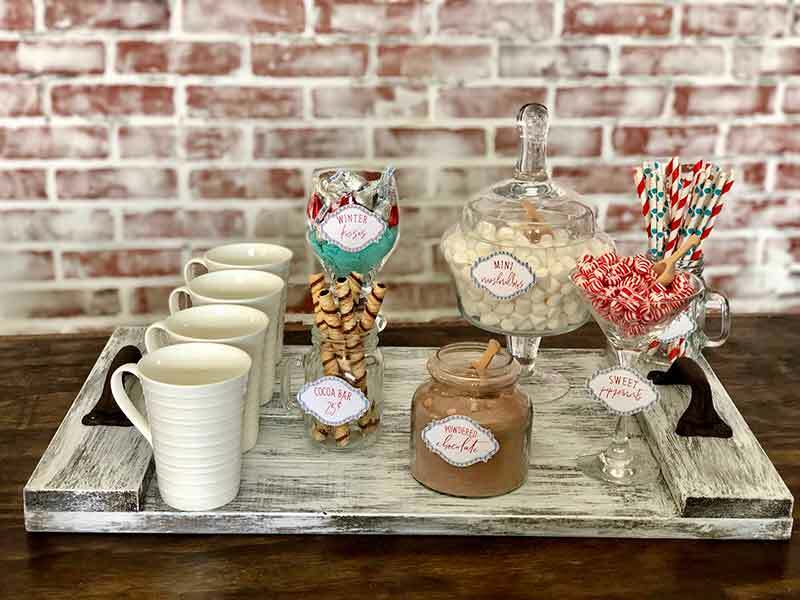 at home is a Hot Cocoa Bar. This not only serves as a gathering spot all winter long but also serves as a beautiful winter display. Gather your supplies before starting the project. 2. Arrange all the clear containers on the middle and one side of the tray; place the tallest in the back. Fill each container with a different ingredient leaving the cocoa powder front and center. 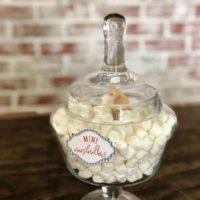 Include a small scoops or tongs in each container to discourage small hands from playing in the candy. 3. 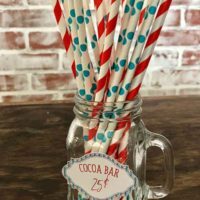 Print out the Cocoa Bar Labels, cut-out and use double sided tape to adhere to the front of the jars. 4. Line up the coffee mugs on one side of the tray about equal distance apart. And that’s it! It’s a super fun and festive way to spend the winter months indoors. 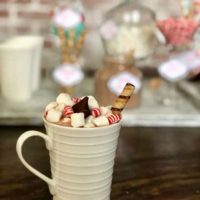 Set up your hot cocoa bar, supervise the youngest members of the family, and enjoy a delicious and festive cup of cocoa with family and friends. For more information on AR Workshop Nashville please visit www.arworkshop.com/nashville. 1. Many scraps of wood can be used to create a tray, either alone or combined. You can use decorative or vintage hardware to create handles, or you could also use rope that you pass through holes drilled into the tray. 2. You might consider putting felt dots or other feet on the bottom of the tray to prevent scratched to other furniture surfaces. 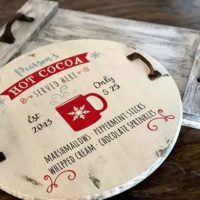 You could use small wooden “bunn” feet or wooden door knobs for feet—it all depends on the look you want to achieve and how much effort you want to put into the tray itself. The possibilities are endless, so use your imagination. 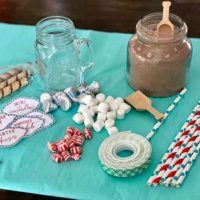 While you can always buy a hot chocolate mix, if you want to create your own hot cocoa mix, it’s quite easy. Combine 2 cupts of instant dry milk, 1 cup of sugar, 1/2 cup of unsweetened cocoa powder, and 1/4 tsp. salt. Mix the ingredients in a large bowl and when mixed store in an airtight container or ziplock bag. Add 1/4 cup of the mixture to a cup of boiling water and stir.